What Is a Cert, and Do I Need One? A diamond grading report, commonly known as a “cert”, is a document prepared by an accredited gem laboratory that provides an independent, unbiased evaluation of a diamond. 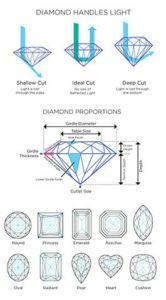 The cert confirms such details as cut grade, color, clarity, and carat weight, the precise measurements of the stone, and whether a diamond exhibits fluorescence. It often includes a plot indicating the type, number and position of any inclusions. 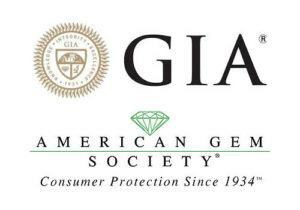 It is almost universally agreed that a cert adds value to a diamond, since the assessments made by independent gem labs such as GIA (Gemological Institute of America) and AGS (American Gem Society) are recognized worldwide. A cert provides tangible assurance that the quality of the diamond is accurately represented by a well known and respected authority. It is also desirable should you wish to trade or sell the diamond in the future. So, is an uncertified diamond a “bad” diamond? No, there is no discernable physical difference between a certified diamond and one that is not. But buyers should consider that an uncertified diamond has not been evaluated by an impartial third party. Therefore, its quality is based solely upon the opinion of the seller, and individual jewelers can make very different assessments depending upon the stringency of their evaluation. For that reason, purchasing a diamond without a cert has its risks, as a less-than-honest jeweler can easily misrepresent the quality of a diamond in order to make a sale to an under informed or overly trusting buyer. An accurate assessment of a diamond’s quality has insurance implications as well, since a gemologist or appraiser will use the information stated in the cert to determine the diamond’s replacement value. If you have no certificate, it is possible that the appraiser will assign a different value to the diamond than the jeweler who sold it to you, which may result in a discrepancy about the value of the ring or other jewelry created with the uncertified diamond. Because of the inherent uncertainties in purchasing an uncertified stone, you should expect to pay less for a diamond without a cert. ← Diamonds are Indestructible, Right?